Look for it to target markets outside SE Asia. Europe could follow. 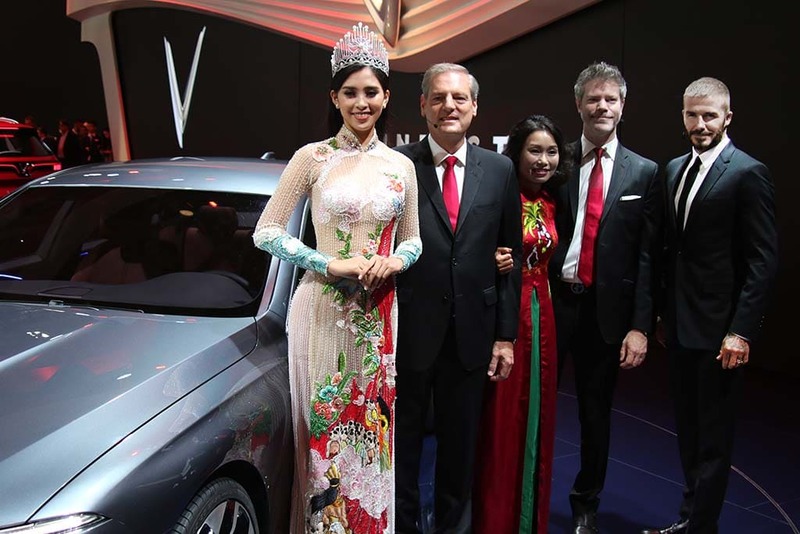 VinFast CEO Jim DeLuca, center left, unveils the company's two offerings with Miss Vietnam, left, and David Beckham, right. The world’s newest automaker is rapidly ramping up its plans. Little more than a month ago, during a visit to the new VinFast headquarters and manufacturing complex in Haiphong, an hour outside Hanoi, company officials told TheDetroitBureau.com they were set to focus on the fast-growing Vietnamese automotive market, though they hinted they might look beyond the country’s borders at some time in the future. Asian automaker set to launch production by mid-2019. The VinFast Lux A 2.0 is based on the prior-generation BMW 5-Series platform. 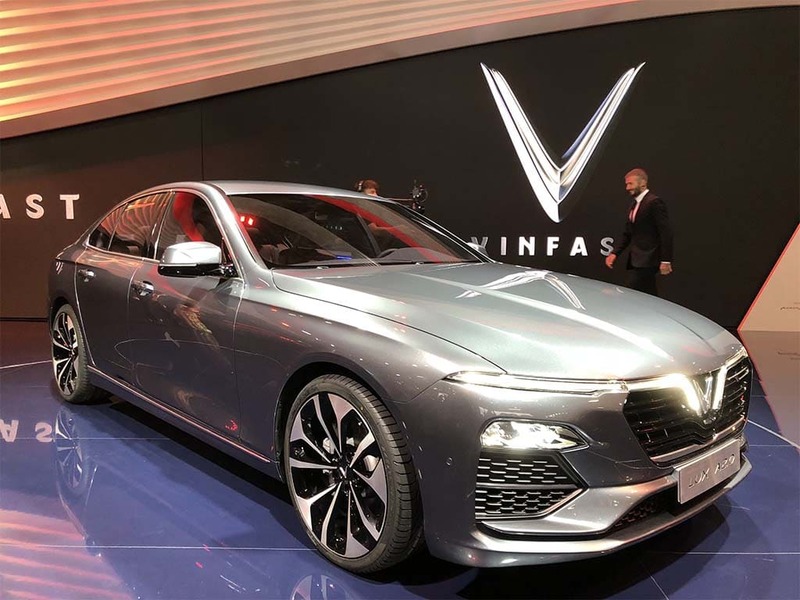 There have been a few surprising moments at an otherwise lackluster 2018 Paris Motor Show, and several of them came from sources you wouldn’t expect, notably the debut of the first two new models from Vietnam’s first real carmaker, VinFast. 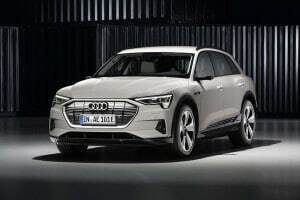 Of course, it didn’t hurt to have European football star David Beckham on the stand when the Lux A sedan and Lux SA sport-utility vehicle rolled out on Tuesday morning. 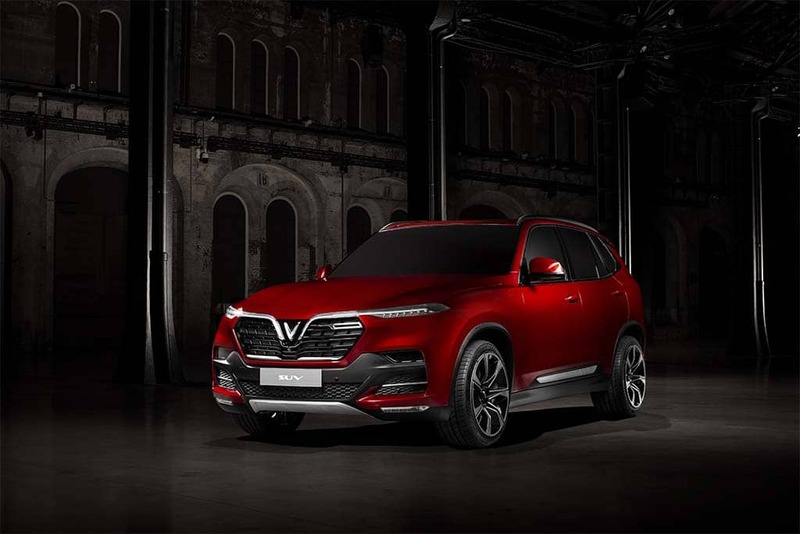 The two will go into production by the third quarter of 2019 at an all-new factory build largely upon land reclaimed from Haiphong Harbor. Giving real meaning to the second part of its name, VinFast plans to add two more models, one all-electric, to its line-up by the end of next year. Putting the "fast" in VinFast. VinFast is Vietnam's first automaker and it breaking plenty of rules to get its first vehicle on the road. Despite the monsoon-level rain, workers scramble through the mud and debris. They don’t have time to waste. Little more than a year ago, nearly half the 827-acre site was still under water, but before the end of the year, the first pilot cars are expected to start rolling off the assembly line rising on the edge of Haiphong Harbor. Vietnam is about to get its first car company, and it’s called VinFast for a reason. The first retail-ready models are expected to reach showrooms by mid-2019, barely two years after the company was founded.